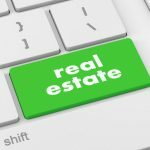 Buying and Selling Real Estate in Washington D.C.
What is a living trust and how is it created? Own Property in D.C? Better call your lawyer! How Can an HOA or COA Foreclose on its Residents? What is a Judgment Lien and How Could It Affect Your Property?